Home / A big wonderful dragon. Oh my! I’ve been meaning to post about this for awhile. Today is the day! 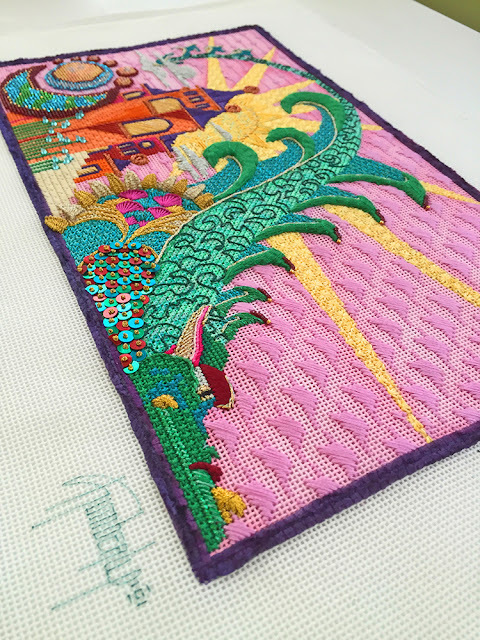 Kimberly Smith stitched her dragon canvas and it is magnificent! Kimberly truly looks at a canvas differently than the rest of us. She play with textures and stitches and creates a special magic that is perfect for this dragon. The canvas is the perfect size. It’s not too big. 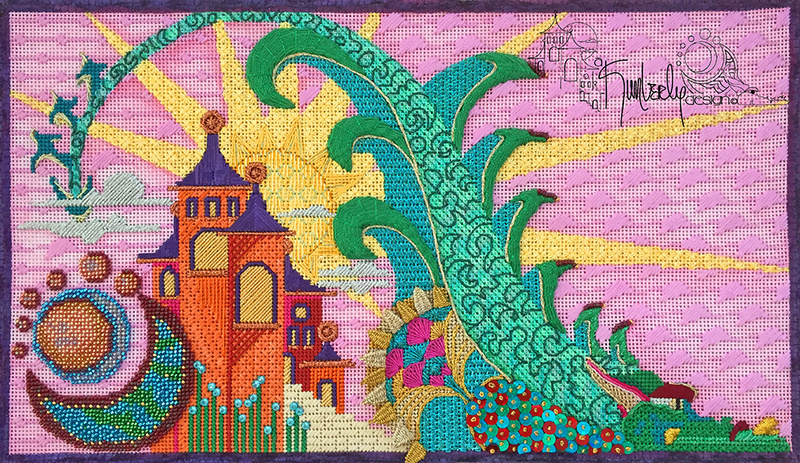 It’s 12″ x 7″ on 18ct but just look at all the wonderful techniques and stitches that are in this canvas. There’s a little of this and a little of that. Love it all. And check out the thread kit. YUMMY! 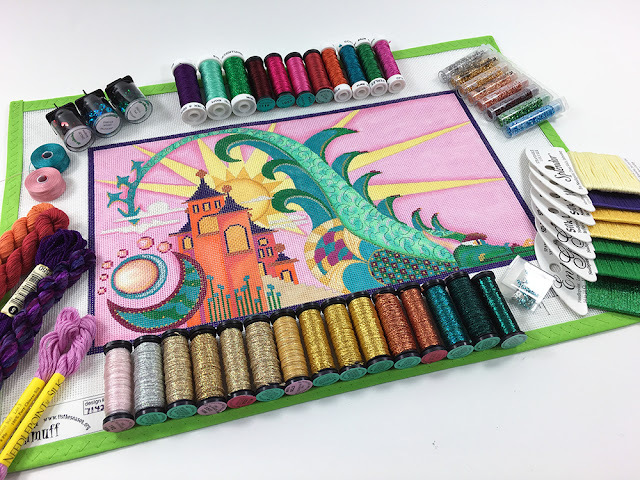 If you can’t resist this dragon anymore than I can, canvases are in stock, complete with stitchguide! You can order by clicking here, or give us a call at 410.296.0405. I hope you love him as much as I do. P.S. 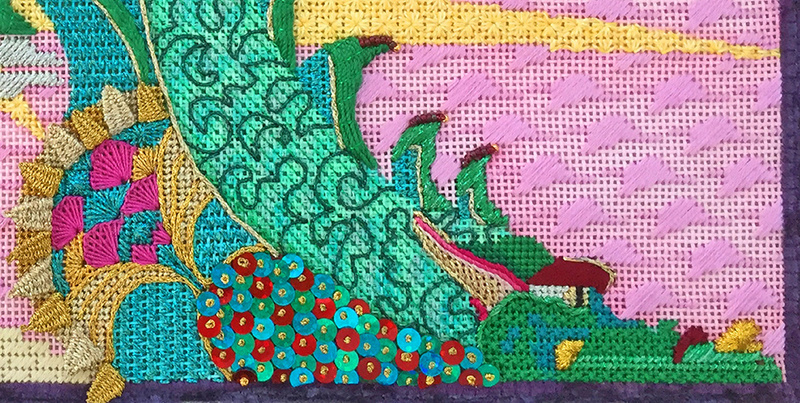 If you would like to stitch this gem with the guidance of Kimberly, check out the class listings at the Black Sheep in Florida. She will be teaching it there in October.